Galvanized and passivated. Case-hardened, pre-lubricated bearing bushes. Rivet is stainless steel. Hook and clamping sleeve tempered. 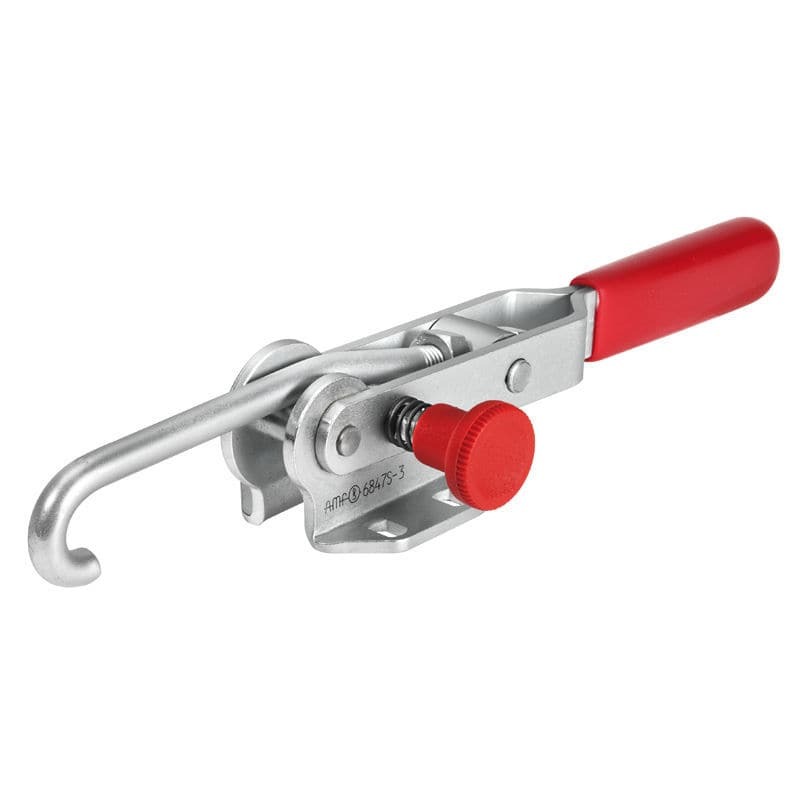 Handle made of red, oil-resistant plastic.